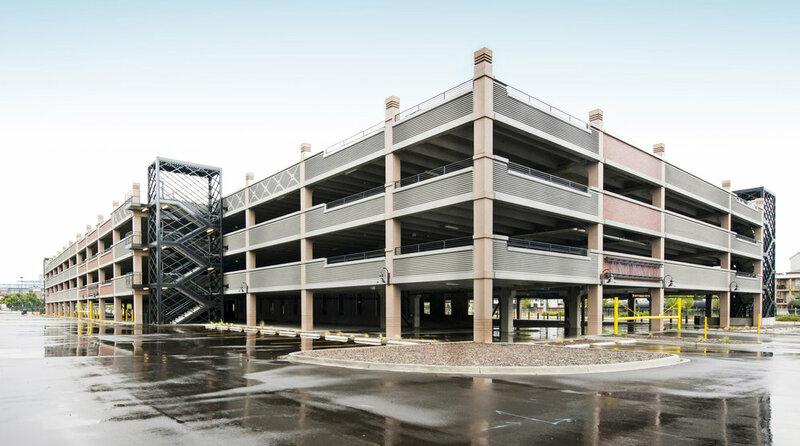 The Coors Field parking garage is a 3-tier (4-story,) open, precast parking structure that was finished just in time for the fans of the Rockies games. The parking garage is 88,400 s.f. per tier with a total of 350,000 s.f. of structured area. The garage is designed to accommodate 950 automobiles, approximately 240 per level. The siting and the design is a result of masterplanning effort and feasibility study that systematically reviewed every potential building site within the various properties owned by the Stadium District. Each site was reviewed in terms of traffic impact, utility impact, cost/schedule impact and convenience to the users within the frame of Stadium District’s long term goals.